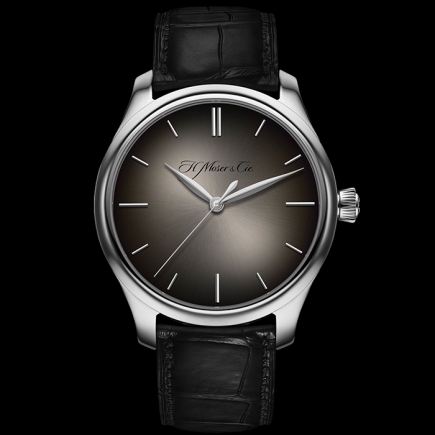 H Moser & Cie | 30'500 € Tax inc.
A NEW DEVELOPMENT AND A NOVEL APPROACH FOR H. MOSER & CIE. The Venturer may be H. Moser's flagship watch collection, but Endeavour watches offer an original alternative to the dial so well known today by the manufactory. This Venturer dial by H. Moser has acquired its letters of nobility in just a few minutes thanks to an innovative concept. 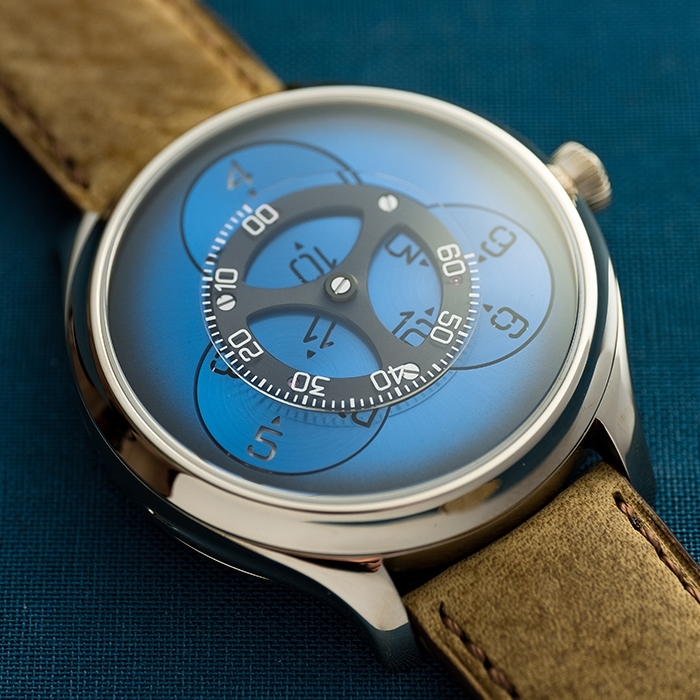 Far from the usual "smart watch" or "tool watch" dial, the H factory. Moser offers watches dressed in Funky Blue, or Cosmic Green, new tones on the dial for a 100% manufactured watch. Each limited edition of these Funky Blue or Cosmic Green dials, often with a white gold case, has propelled the Venturer from Manufacture H. Moser at the top of sales in the independent watchmaking market. 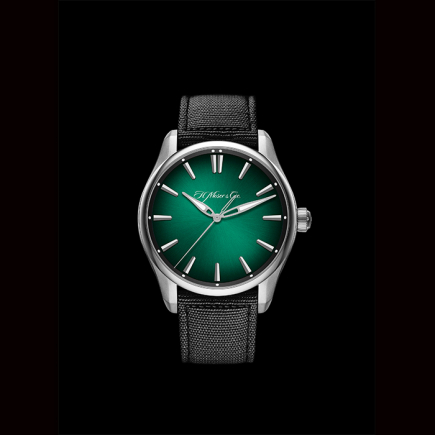 These two colours, Funky Blue and Cosmic Green, have become distinctive signs of Manufacture H. Moser, especially in this Venturer collection, white gold model. 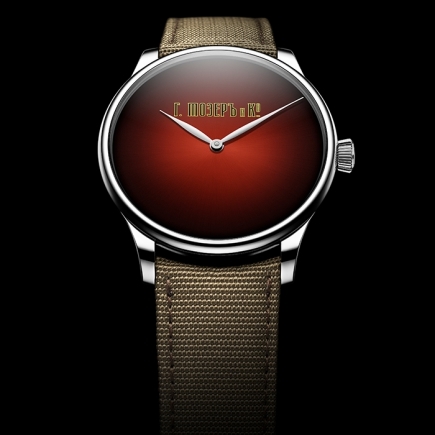 Beyond this Venturer collection, H. Moser has developed with Endeavour a different concept of "luxury watch". Without going so far as to use the Funky Blue dial or the Cosmic Green dial of Venturer watches, Endeavour watches offer a mechanical difference that this Flying Hours embodies. 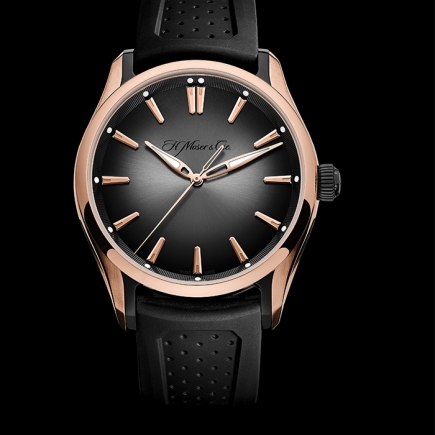 This new model from Manufacture H. Moser, the Endeavour Flying Hours watches, operate with a central disc on the dial. 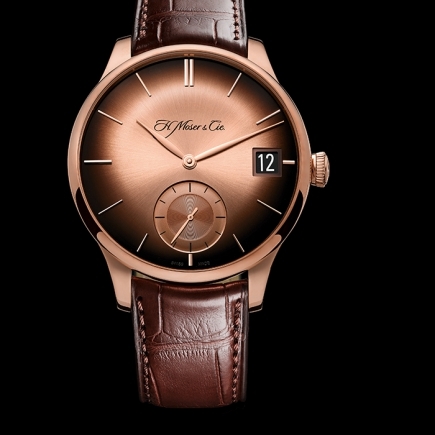 Around this central disc, an underlying disc contains 4 digits, a second disc 4 other digits, and a third disc the last 4 digits, which will allow the dial of this model to display the 12 hours without hands - this is the whole concept of the Endeavour Flying Hours watches from the H manufacture. Moser than to display the time on its dial without hands, but by disc. Here, this disc display concept is visible under the sapphire crystal of this model, so the Funky Blue or Cosmic Green shades are secondary. 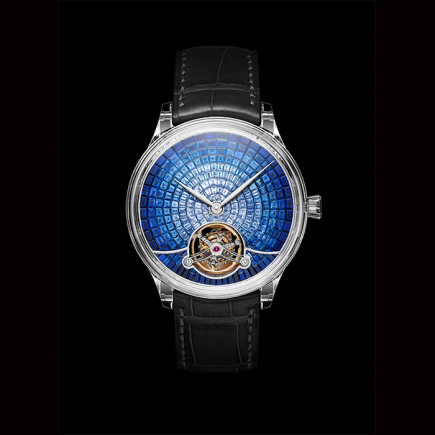 The minutes are displayed by the central disc, the hours by the three underlying discs. 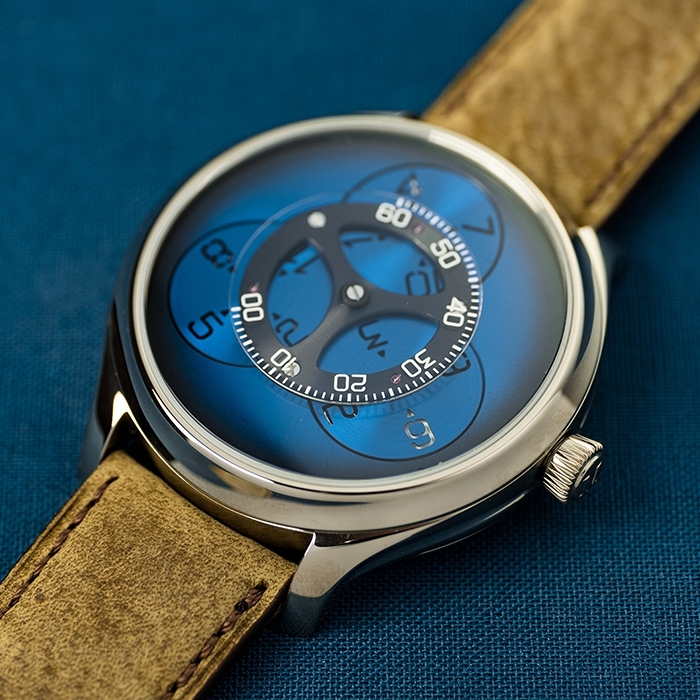 The dial of this H. Moser Endeavour Flying Hours is therefore very refined, its "blue" colour being associated in this model with a white gold case. 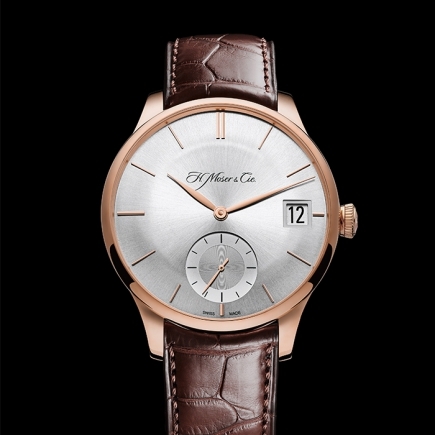 These Endeavour Flying Hours watches signed H. Moser feature a manufacture calibre. 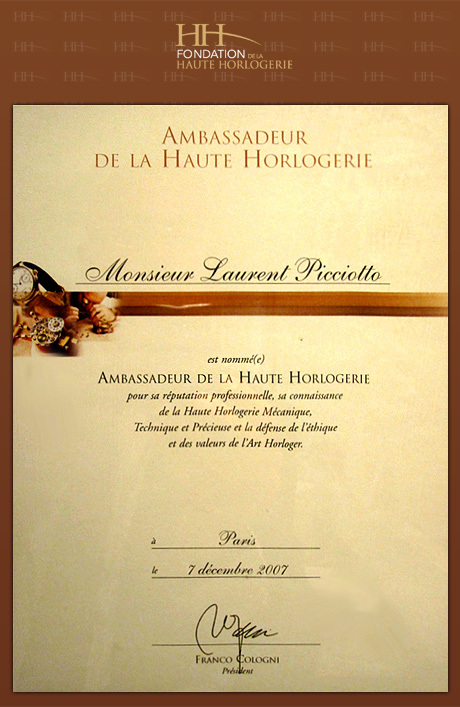 However, the concept of this manufacture calibre was developed by Hautlence, a sister company of Manufacture H. Moser. This rare case on the market of each manufacturer supporting the concept and calibre of the other has led to the emergence of these Endeavour Flying Hours watches in white gold, a concept that combines the best of both worlds. The movement of this model is self-winding, driving the discs during a three-day power reserve - 72 hours being an increasingly widespread power reserve on the manufacturing watchmaking market, every detail of which can be appreciated here. 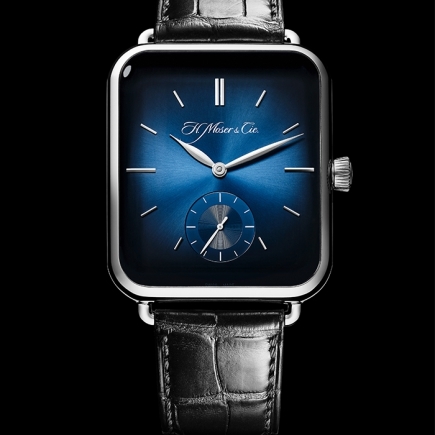 With this model of Endeavour Flying Hours watches, Manufacture H. Moser therefore imposes from its disc dial a concept that is not new in watchmaking but which remains atypical for presenting hours and minutes, with a beautiful power reserve for a manufactory movement model, totalling 72 hours. 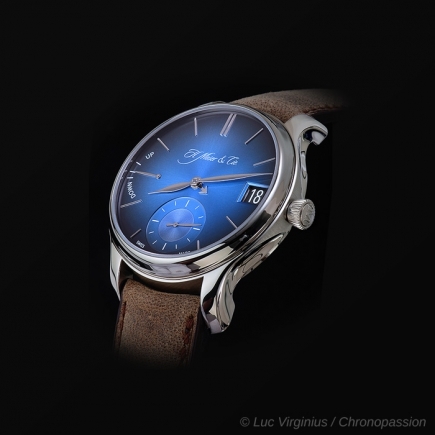 We find the Funky Blue spirit, the limited nature of this collector's edition (60 pieces), the offbeat H. Moser spirit that made the glory of the manufactory with its Venturer and its Swiss Alp Watch, and which will continue with these Endeavour Flying Hours watches. 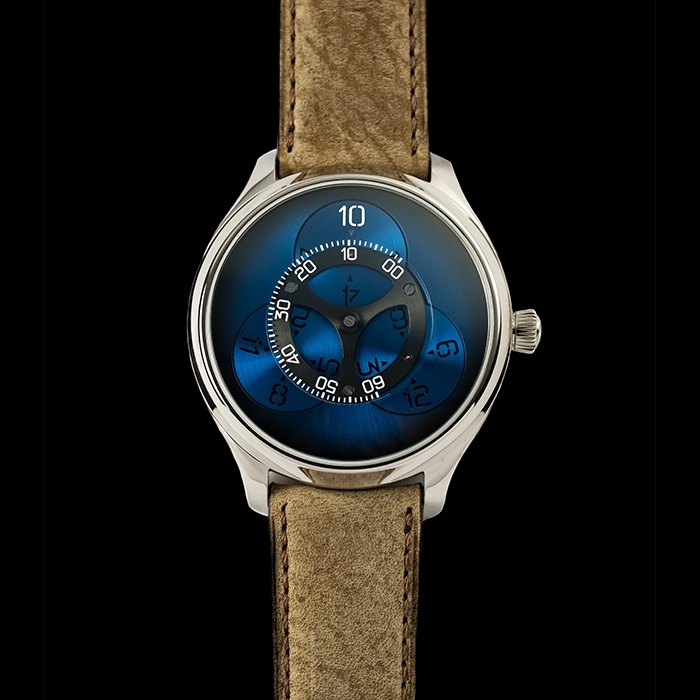 White gold model, Funky Blue dial equipped with 3 discs for the hours and a central sapphire disc for the minutes, beige kudu leather strap. - Automatic C806 Manufacture calibre developed by HAUTLENCE and H. Moser & Cie.